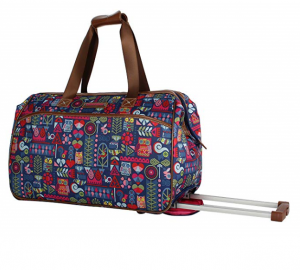 With the airline becoming the number one method of traveling place to place, wheeled duffels have also become one of the top luggage models for quick carry-on needs, expanding luggage space, and stylish designs which reflect the person you are while you’re on the go. 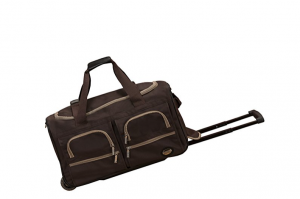 For business retreats as well as relaxing pleasure getaways, duffels give any traveler the option of a deep compartment with plenty of organizational space; wheeled duffels specifically, don’t need to be toted around on one arm – though often they can be – instead when overweight and heavy you can roll them along behind you as you go about your different journeys. 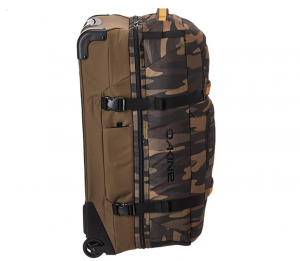 Opting for one of the top-rated 10 wheeled duffels below will not only give you a whole new enjoyable way to pack, but a new look at the kind of luggage you should have been packing around on your adventures long before now. 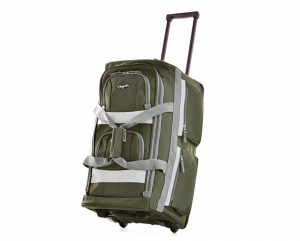 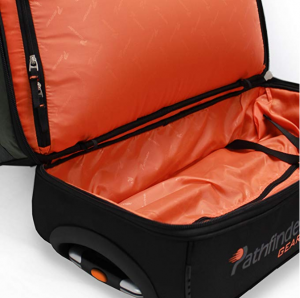 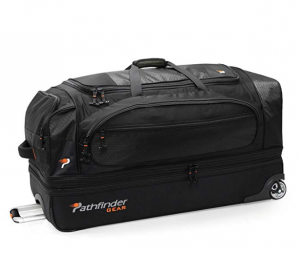 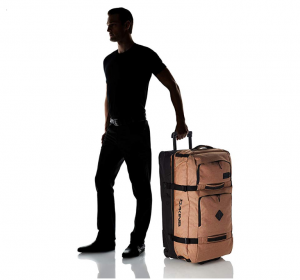 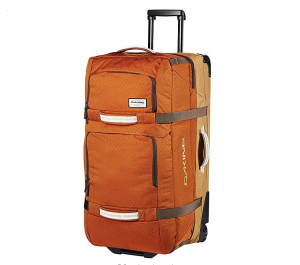 Pathfinder Gear doesn’t just promise ‘Quality in Everything’, instead they deliver on their promise with top rated luggage like their 36-inch Rolling Drop Bottom Duffel. 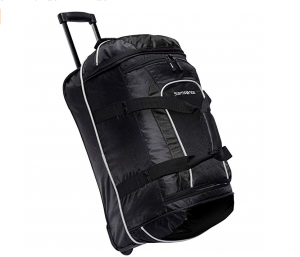 This bag has in-line skate wheels strong enough to handle all those rough city streets and other unpaved roads, it’s designed to repel most hard weather while keeping your clothes warm and dry, and the packing space it offers is easily 90-liters with room to spare. 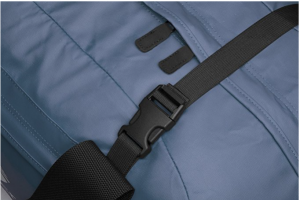 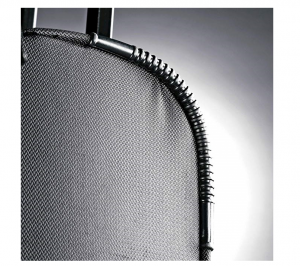 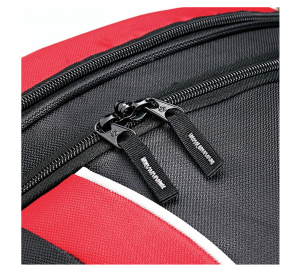 Nylon materials, reinforce T-bar zippers, and an amazing 10-year warranty! 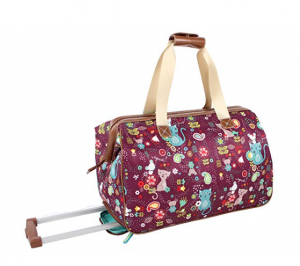 Who wouldn’t love this bag? 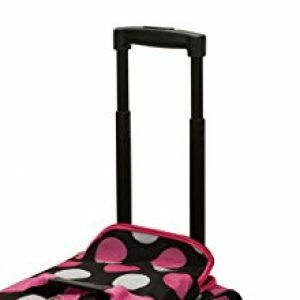 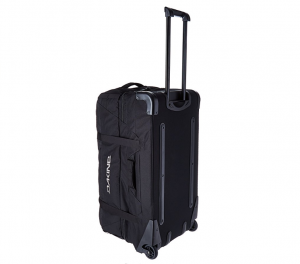 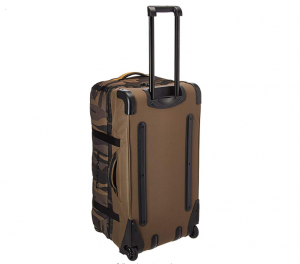 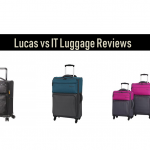 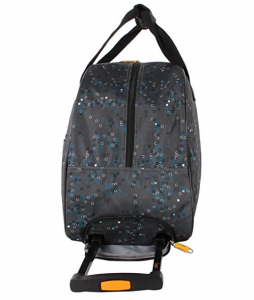 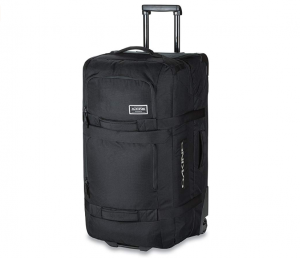 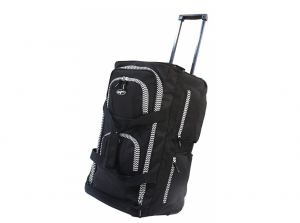 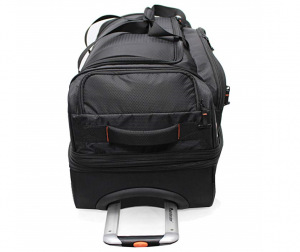 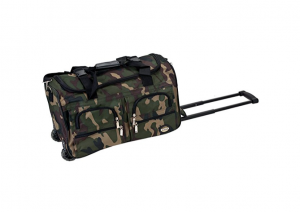 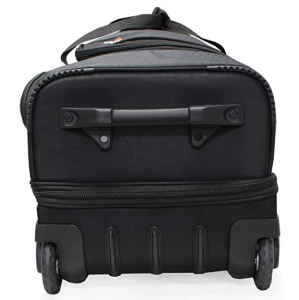 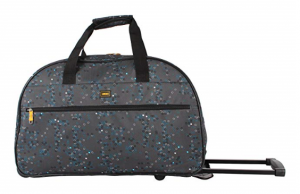 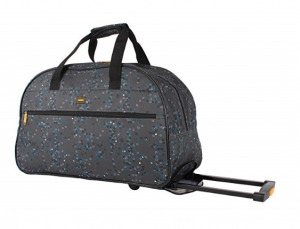 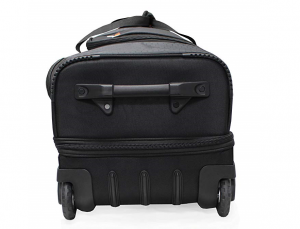 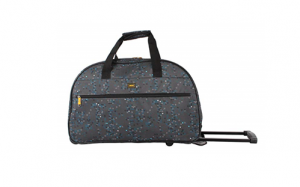 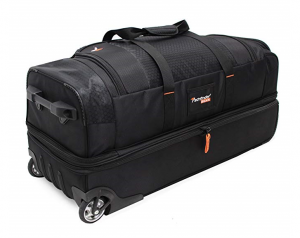 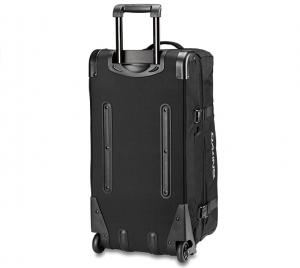 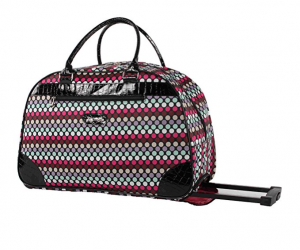 The Lucas 22-inch Printed Rolling Duffel Carry-On provides plenty of lightweight space and in-line wheels for portability to keep up with any pace. 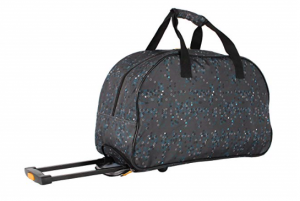 It’s stylish and sophisticated with extra quick-access room from a lengthy zippered side pocket, and the central space provides plenty of packing room for a 3 to 4-day trip with no checked bag needed! 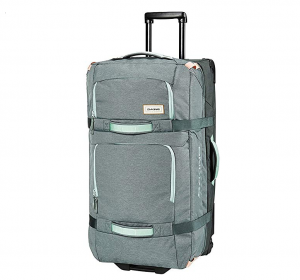 This is the choice for the light-packing traveler always on the move and trying to avoid those pesky extra fees. 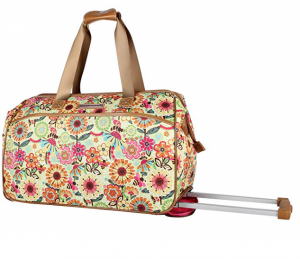 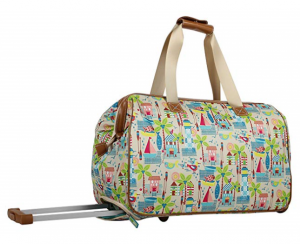 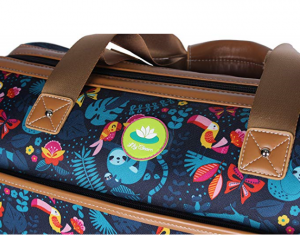 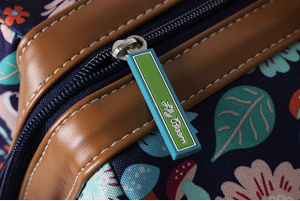 The Lilly Bloom Designer Pattern Wheeled Duffel Carry-On Bag is a great way of buying luggage while also saving the environment. 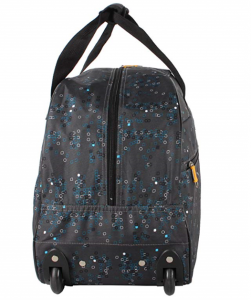 It’s stylishly made with 18 different designs are crafted from recycled plastic materials like plastic bottles from the ocean. 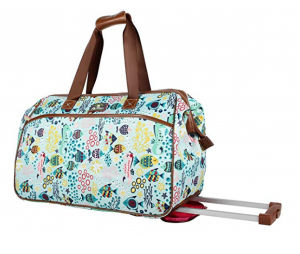 With bright, bold, and confident colors, you’ll never get this bag mixed up with another’s and you’ll never lose it in the airport. 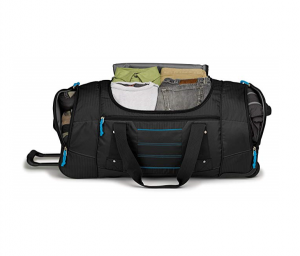 Best of all, for only a 14-inch carry on, this bag has a massive amount of packing room with additional zippered side pockets and inner organizing pockets. 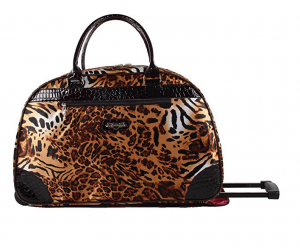 The Kathy Van Zeeland brand of designer bags is growing in popularity and its no wonder why! 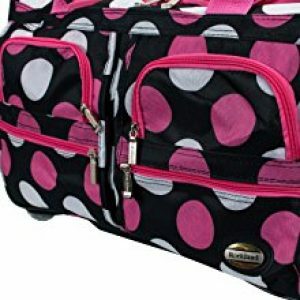 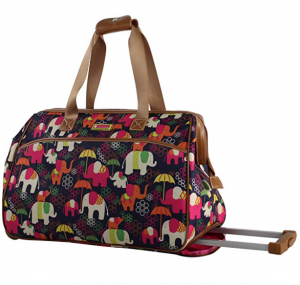 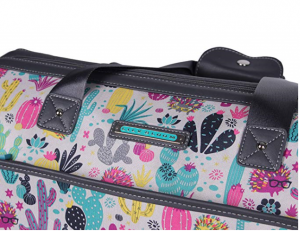 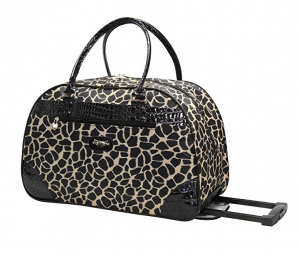 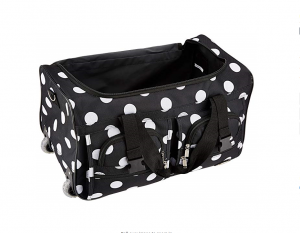 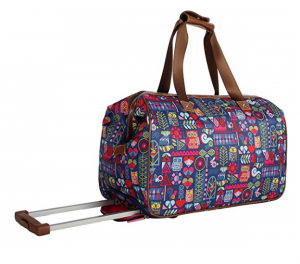 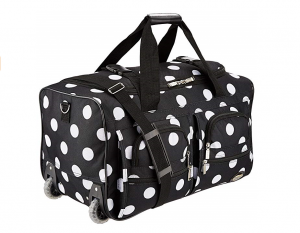 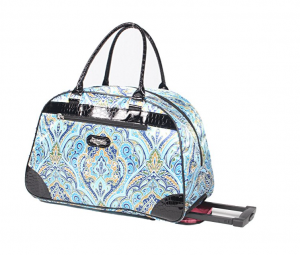 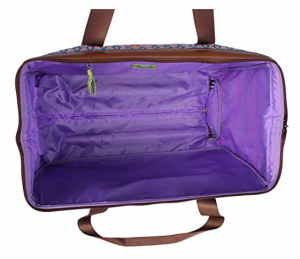 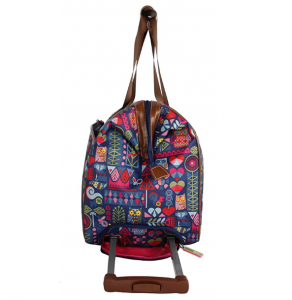 Just this 22-inch Women’s Printed Rolling Carry-On Duffel offers 9 unique designer prints, and it pairs your unique style choice with nearly 40 liters of packing space for the carry-on security of 3-4 days of clothes if your checked luggage were to get lost. 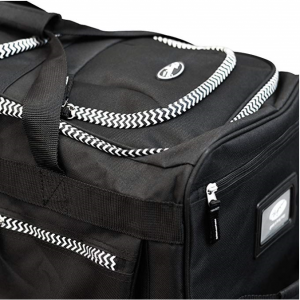 This isn’t just a bag, it’s a fashion accessory that allows you to be part of a popular and influential brand. 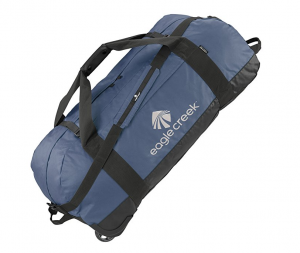 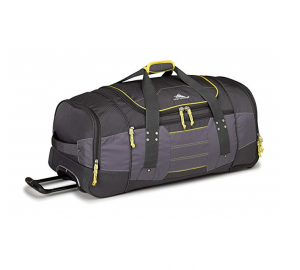 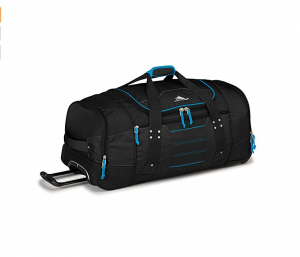 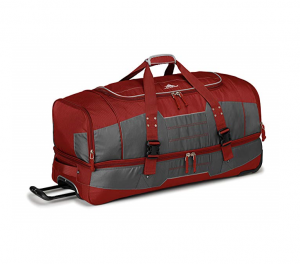 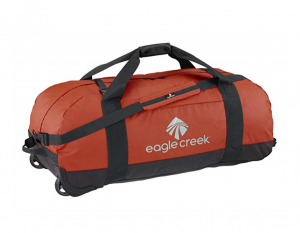 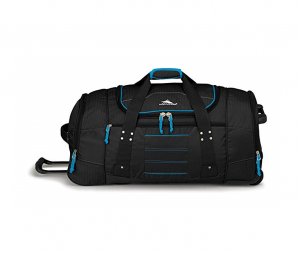 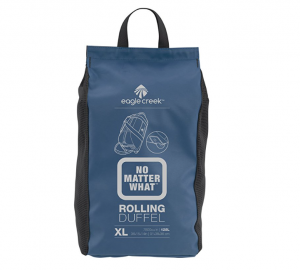 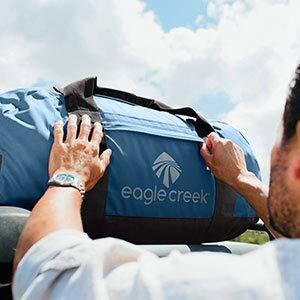 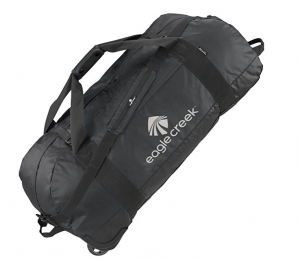 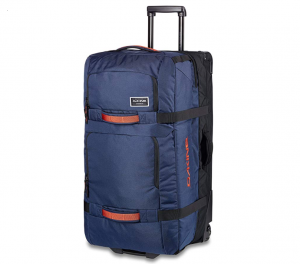 The Eagle Creek Travel Gear X-Large Rolling Duffel is designed with all of their brand signature high-quality features and durable materials. 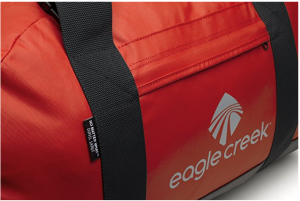 This is a bag which is specifically made to last you the next 30+ years of your life, and even includes a warranty that will cover all lifetime repairs regardless of what caused the damage. 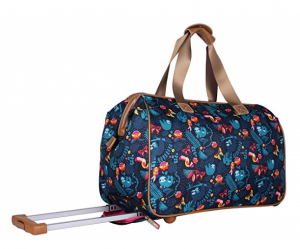 To make things clearer, this is guaranteed to be the rolling duffel that will permanently end your need for any other luggage. 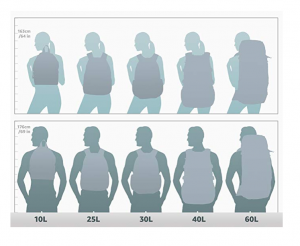 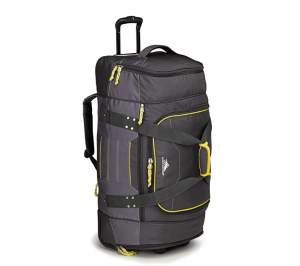 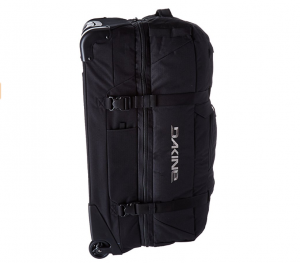 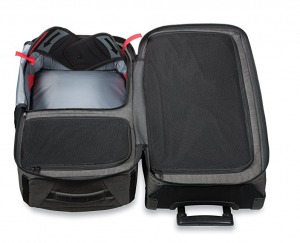 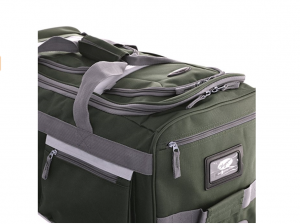 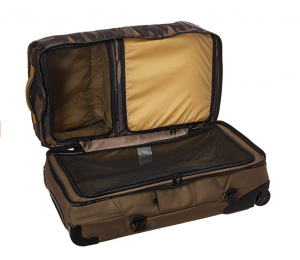 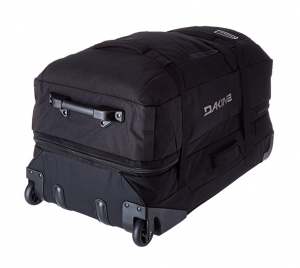 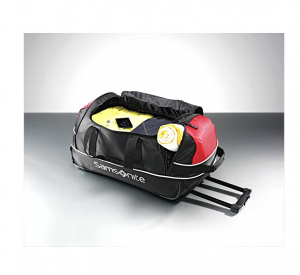 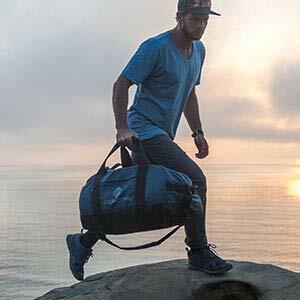 Dakines’ Split Roller 110L bag offers a massive amount of storage with exceptional organization. 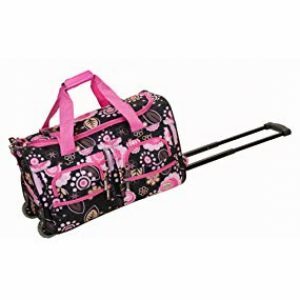 All fabrics lend the bag increased durability for any sort of travel and come in a variety of business worthy or just plain fun styles. 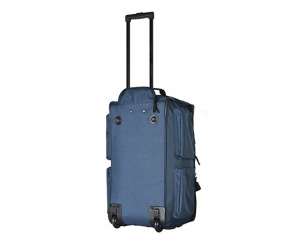 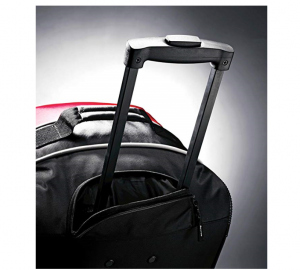 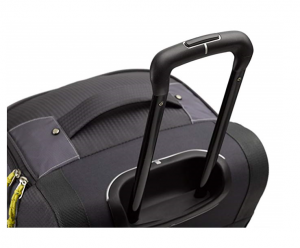 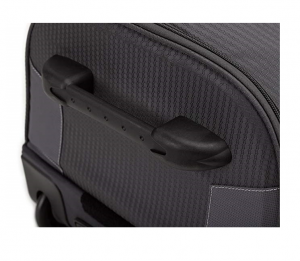 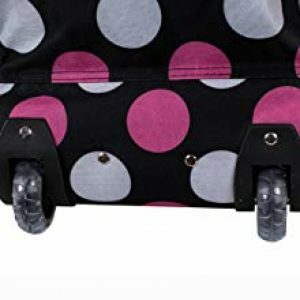 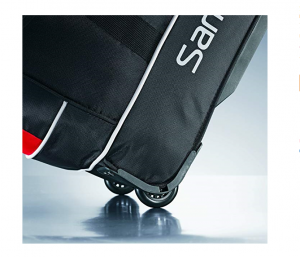 Each facet of the suitcase from the telescopic handle to the straps and the wheels were designed to make suitcase portability easier so that you can wheel out of the airport with no hassle getting from one place to another. 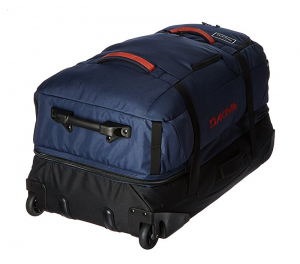 Olympia International has been provided durable luggage with more storage space than any other brand for the last 3 decades. 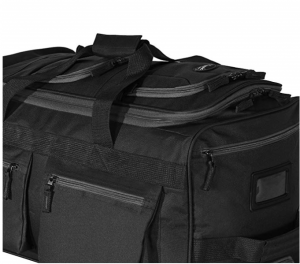 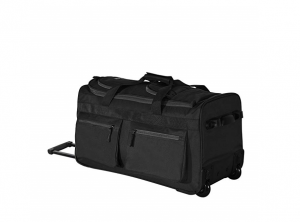 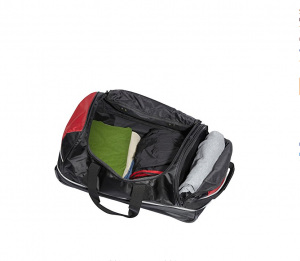 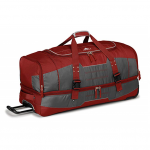 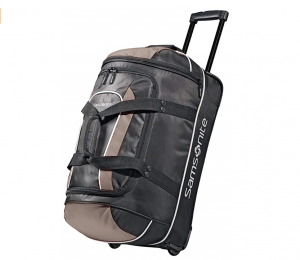 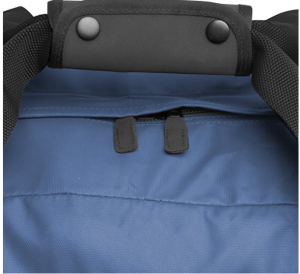 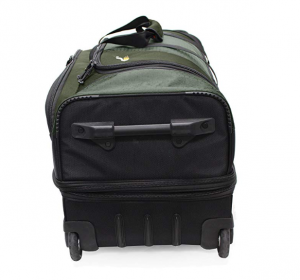 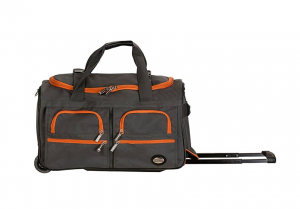 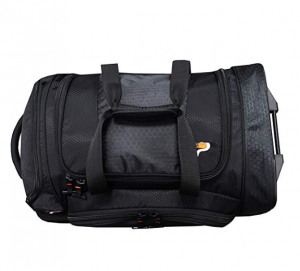 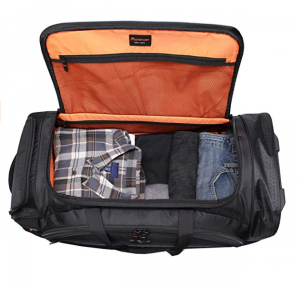 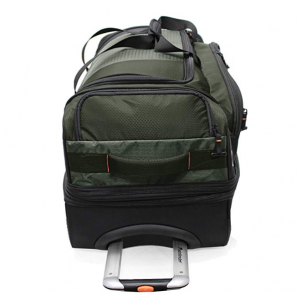 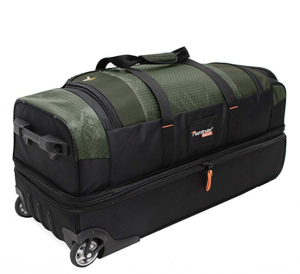 This 22-inch 8-pocket Rolling Duffel bag not only delivers on the brands added storage, but allows this bag to outcompete almost all other rolling duffels with its highly durable technologically designed materials, self-repairing zippers, strong wheels, and beyond high-quality telescopic handle. 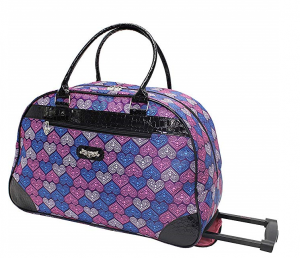 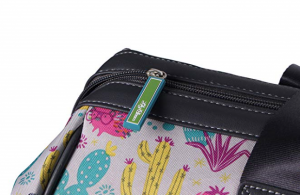 For even more fun and personality, this bag comes in over 20 unique styles. 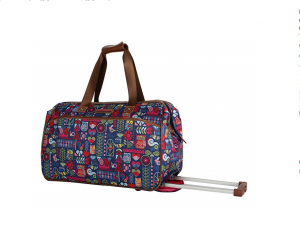 Rocklands’ 22-inch rolling duffel bag is designed for the fashion-conscious individual and is very suitable for business trips or fun filled getaways on your own/with the family. 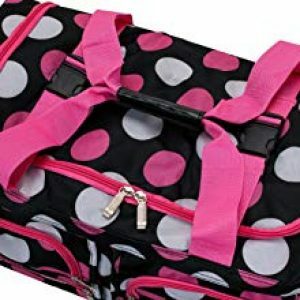 These bags are carry-on sized and will store up to 2 weeks of clothing with ease; 4 added pockets on the side for all your extras. 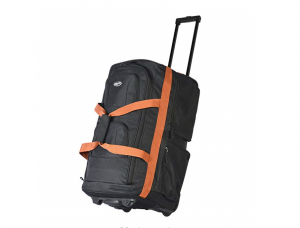 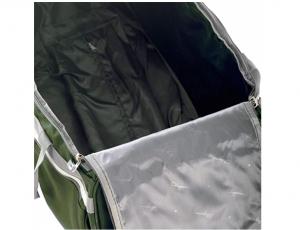 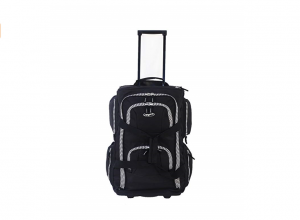 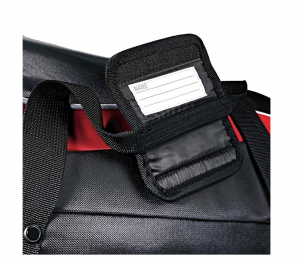 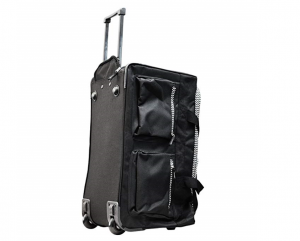 Although the polyester material isn’t suitable for making this your ‘checked bag’ option, the material is very durable for the regular wheeling bumps and impacts while traveling beside you. 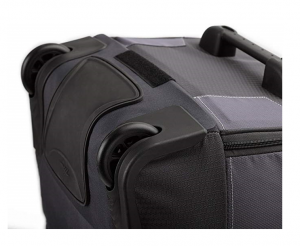 For the money, added style, increased storage space, this is the smart luggage choice that will give you a constant companion by your side.